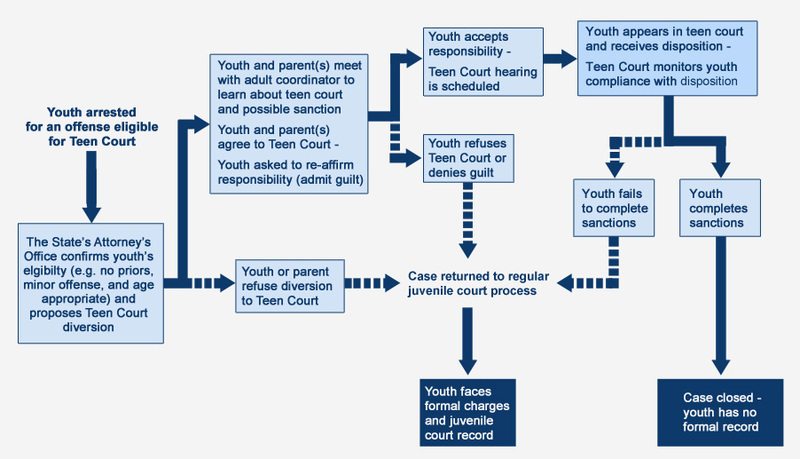 To be eligible for Teen Court, a juvenile will be referred from the States Attorney’s office. The offender’s acceptance of Teen Court’s services will be strictly voluntary and available only to those who plead guilty. 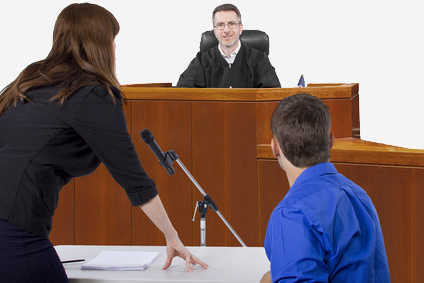 All functions in the Teen Court courtroom, except that of the Judge, are to be carried out by teens, including the prosecuting attorney, defense attorney, court clerk, court bailiff and all jurors. The Judge is a volunteer attorney that sits on the bench. Sentences recommended by the Teen Jury may include community service tasks, serving as a teen juror, restitution, and participation in the Life Skills classes offered by the Teen Court program. Sentences will vary in length of commitment in accordance with the severity of the case, but cannot last longer than 90 days. Upon completion of the Teen Court sentence contract, the case will be dismissed. Each teen offender will pay a court cost. All offenders brought into the teen court program with a drug/alcohol charge MUST complete a prevention/education program as presented by a certified chemical dependency counselor. All youth who are brought before the court on a tobacco charge MUST complete a tobacco class. All youth brought before the court on multiple drug/alcohol charges MUST complete an alcohol evaluation administered by a certified chemical dependency counselor. The Lawrence County Teen Court conducts court at the Lawrence County Courthouse on the first and third Monday nights of the month. Court hearings are scheduled every 15 minutes as the docket requires. Volunteer licensed attorneys from the area sit on the bench as the Judge and also train the youth volunteers. The liaison officers from the local schools work closely with the court providing monitors for court nights. Once the teen respondent completes the requested requirements from the court hearing, the case is dismissed allowing the young respondent the opportunity of keeping their juvenile record clean. © Lawrence County Teen Court. All rights reserved.